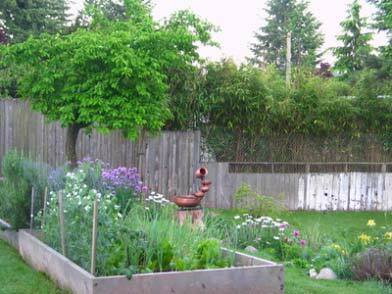 Raised bed vegetable gardening can lead to some of the most successful gardens out there. That's because of just how beneficial this type of set up can be to both you, the gardener and to the vegetable plants you are planting too. Why should you go with raised beds? And, what in the world is bed gardening? Raised vegetable and flowering beds are an ideal way to garden because they allow for all parts of the gardening processes to be much more easily accomplished. Raised beds are used more and more each year by those that don't have a lot of area to garden or those looking for a bit more convenience from the area that they do have at their disposal. In bed gardening, raised vegetable gardens are designed for specific purposes. One of those purposes is to create better drainage for the plants to benefit from. By using the right combination of soils and drainage tiles or stone in the bed, the garden will benefit through increased ability to retain and allow water to flow through it. It's a great way to keep the garden healthy and the plants wet without having to constantly water them. The extra soil in bed gardening with raised vegetable patches will keep in the water, keeping your plants wet enough but not too wet to cause damage to the plant. Should you consider raised bed vegetable gardening then? Take into consideration the cost and even how good you are at DIY. Although you can purchase and use virtually any type of container and call it raised beds, you may want to actually build wooden structures around your beds. That may take some handy work, but it is still easy enough to do. You'll be able to grow virtually any type of vegetable that you like in this set up. Note: If you want to show off your raised bed vegetable garden design or send photos of your bumper vegetable crops, please Contact Us - we'd love to feature them on our pages.